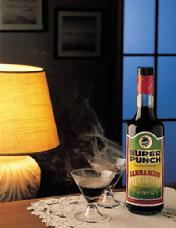 This liqueur is produced the way the Jannimanmico family has done since 1888 in Villa S. Maria, the homeland of cooks. Don't miss this unique and versatile drink. Tip: Try as an aperitif or dessert at room temperature or have it on the rocks with soda to work up your thirst. Equally delicious if served hot or sprinkled over your cake. Irresistible in fruit salads.